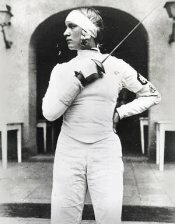 As a token gesture to mollify the West, German authorities allowed the half-Jewish fencer Helene Mayer to represent Germany in Berlin. She had been studying at Mills College in California. 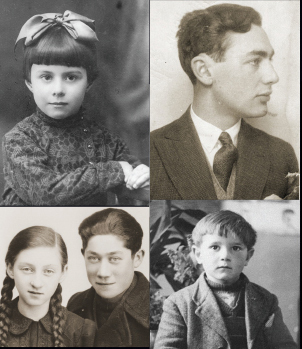 No other athletes of Jewish ancestry competed for Germany. 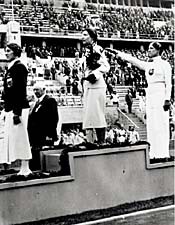 Helene Mayer claimed a silver medal in women's individual foil and, like all other medalists for Germany, gave the Nazi salute on the podium. Two-time European champion Ilona Schacherer-Elek, from Hungary (center) won the gold medal and the bronze went to Ellen Preis, an Austrian. After the Olympics, Mayer returned to the United States, and in 1937, she won the world championship in Paris, defeating Schacherer-Elek. In the 1948 Olympics in London, Elek and Preis again won the gold and bronze medals respectively. 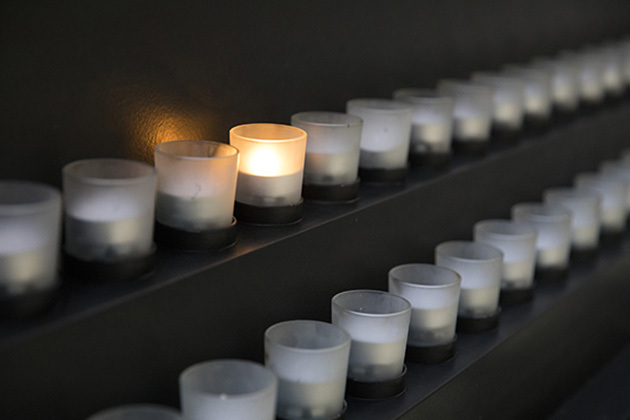 Mayer returned to Germany in 1952 but died soon after of cancer.